007 Spectre. HP designed a conventional notebook with a "thickness" of just 10 millimeters, so it is thinner than some first-gen tablets (original iPad: 13 mm). Our full review shows how HP accomplished to fit a fully featured Windows 10 PC into one of the thinnest designs currently available. 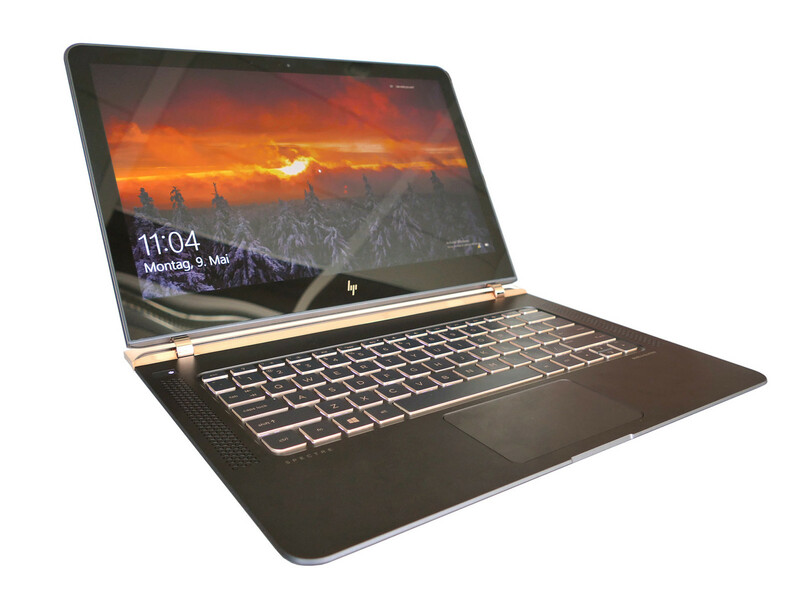 80% HP Spectre Review: Is It Good for Business? But a portable design won't do you much good on the road if you're always running out of juice. The Spectre's weak battery life is its Achilles' heel, especially since its closest rival — Dell's nontouch XPS 13 — ran for nearly twice as long on the same battery test. Dell's system also provides a better selection of ports and comparable performance, though it's not as slim or sleek as HP's laptop. What's great about the HP Spectre? Just look at it! Absolutely sublime. It's a thoroughbred laptop. For the most part the spec sheet is exemplary. When you combine the looks with the excellent performance it's an intoxicating mix that many rivals can't match. We're really disappointed the Spectre only comes with a Full HD screen when rivals are forging ahead. As we said above, the Spectre's display won't be good enough if you're used to a higher resolution display, such as on a retina MacBook Pro. If you are looking for a good alternative to the MacBook with more ports for your peripherals and a little bit more horsepower under the hood while still being exceptionally lightweight and thin, the HP Spectre 13 is an ideal choice. However, if you the design is your top priority, be prepared to make some sacrifices along the way. The most notable flaw would be the short browsing runtimes due to the small battery capacity. It seems that engineers at HP couldn’t cram up bigger unit. A great alternative – not so thin, though – would be the XPS 13, which is by far one of the best premium 13-inchers out there. It has its own drawbacks but succeeds where the Spectre 13 fails. It looks stunning, has a fabulous display, tons of power and all this in a machine that is no thicker than a couple of beer mats. The Hp Spectre 13 is a beauty as soon as it got out of the box. In fact, I couldn’t wait any longer as it grabbed my attention for the first time at the Mumbai International Airport. The feeling of seeing something really beautiful and you don’t have any adjectives to describe and you just get speechless is the exact same sensation I derived when I saw the Hp Spectre 13. I couldn’t deny that it is the most stylish ultrabook with golden hinges and a back, too, finishing it off with smooth black premium colour all around it. Positive: Fine workmanship; elegant design; good keyboard. 86.12%: This is a good rating above average. Nevertheless you should not forget, that 10-15% of all notebook-models get a better rating.